We’re delighted to see these scores and reviews for the two new J. Christopher Pinot Noirs in the October 31 issue of Wine Spectator. 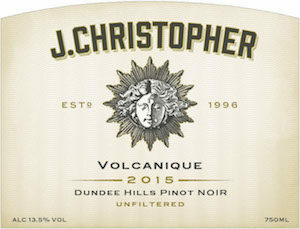 2015 J. Christopher Volcanique Pinot Noir [93 pts]. 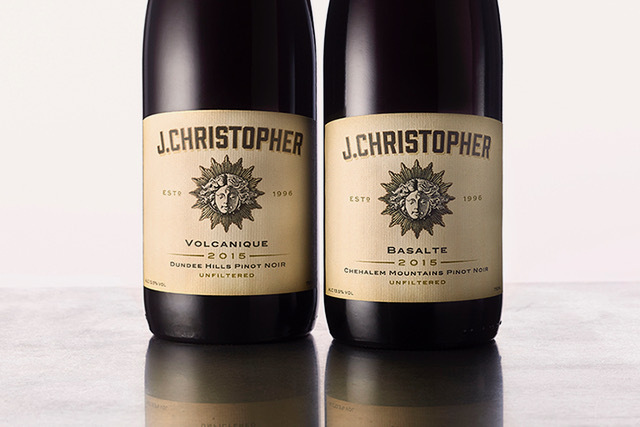 Learn more about these wines in the original announcement and also on our J. Christopher producer page. The J. Christopher winery is located in Oregon’s Northern Willamette Valley, in the Chehalem Mountains AVA. It is a small winery that specializes in Pinot Noir made using the traditional methods of Burgundy. The winery is also one of the few in Oregon to produce Sauvignon Blanc, modeled after the great wines of Sancerre. Owner Jay Somers has been making wine in Oregon for more than 15 years, and established the J. Christopher brand in 1996. Jay’s wines are hand-crafted in small lots and are sourced from some of the best vineyards in Oregon.